While police congregated at Nexia BT and Pilatus Bank today for a fake raid at the behest of the Prime Minister – documents were seen being taken out of both offices yesterday, in anticipation – Brian Tonna, the firm’s managing partner, was at a meeting with clients or contacts of Middle Eastern extraction at the Hilton Hotel. A reader who was there took this phone-video of the men Tonna was with. They all left the hotel in separate taxis. Tonna’s Dubai-based company, Wahaat Ltd, has been granted exclusivity by his clients Joseph Muscat and Keith Schembri, joint managing directors of Malta Inc (Panama), to sell golden residence visas to Malta/Schengen over the whole of the Middle East. 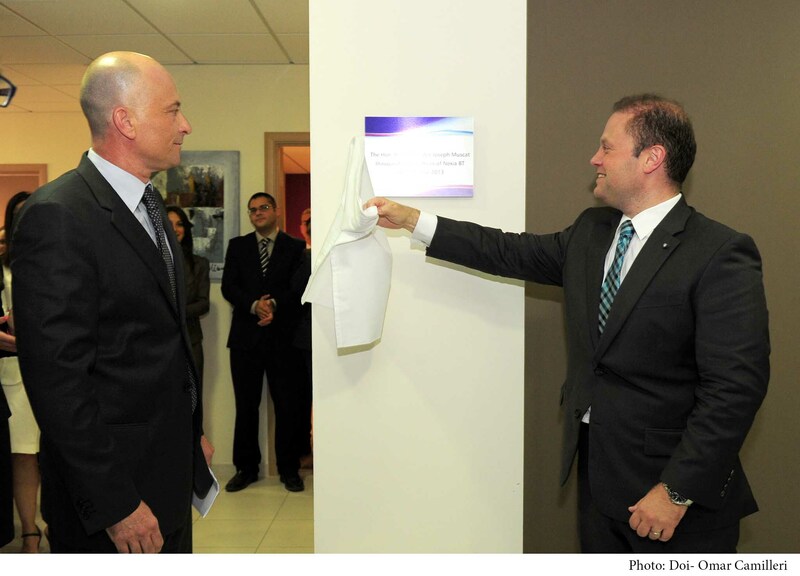 Joseph Muscat, the incoming Prime Minister, opens Brian Tonna’s (on left) new offices in March 2013.